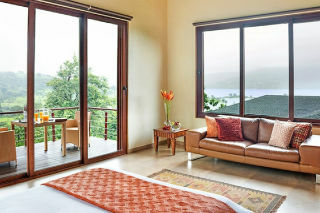 Located at a distance of 1.9 km from Pawna Lake, this is an offering of a luxurious five-bedroom villa, which can accommodate up to fifteen people. 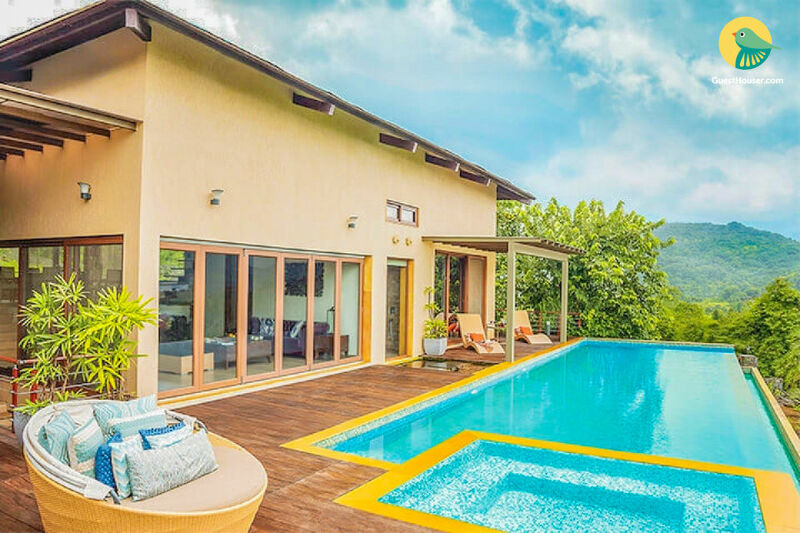 Boasting a pool, a garden, and ample parking this retreat is perfect for a large group to enjoy an opulent vacation. 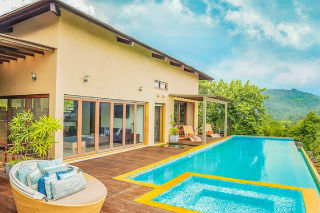 Your Space Ensconced in the lap of verdant foliage, this villa offers a refreshing location for a memorable vacation. An azure pool sits under sky, inviting you to take a relaxing swim. 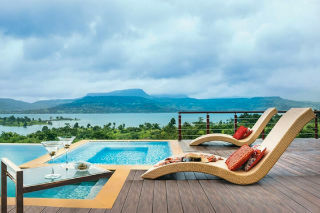 The pool deck is appointed with wicker loungers for lazing with a chilled beverage and your companions. One of the living rooms is appointed with a hot red sectional couch, that adds a bit of pop to the subtle interiors. 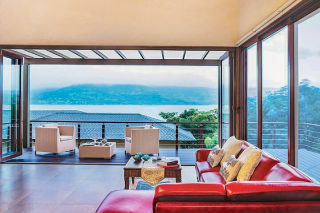 This space opens in a balcony, which is appointed with wicker coffee seating for you to enjoy a simmer cuppa in fresh air. Another living area is furnished with a set of chesterfield sofas coupled with a centre table. This area opens on the pool deck. 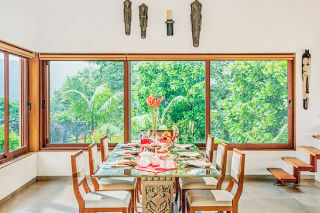 The dining area features a glass-topped table to relish a lavish spread. 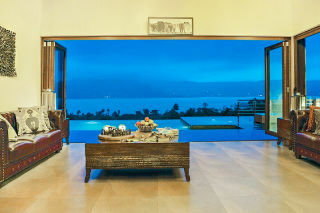 A picture window offers a lush view, while a couple of tribal wall hangings lend vibrancy to the room. The bedrooms are appointed with a comfy bed for sound slumber and a couple of bedside tables to keep essentials handy.